Developers from across the UK town of Leamington Spa are being asked to come forward and help celebrate the area's rich gaming history as part of a two-week long gala. As part of the Leamington Looks Back festival  due to run between 18 May and 2 June  a games-focused exhibition called Backspace will look to explore the town's game creators. Organisers claim programming workshops, a careers evening and a 'games trail' across its hot spots will all form parts of the programme. To truly do justice to Leamington Spa, however, Backspace is looking for the support of studios from across the region to add to those already signed up. As detailed in our recent look at the mobile development scene across the UK Midlands, Leamington Spa has long been a hub for games development, with Codemasters IP of old such as the Oliver Twins' Dizzy and Simulator having been born in the town. Organisers claim there are now more than 1,000 people employed in the games industry across the town working at a dozen companies or more. "We're honoured to be a part of such a fantastic event as Backspace," said Philip Oliver, now CEO of Blitz Games Studios. "We began our careers in the games industry here back in the 1980s, and Leamington has helped shape not just our careers but our company too. "Games development in the town is about more than just the past though and we're delighted that Backspace will be showcasing the sheer diversity of creativity that exists here today." Developers already on board include Oliver and Blitz Games, as well as David Darling, co-founder of Codemasters and Kwalee, and indie outfits such as Monster and Monster. Any studios looking to participate should contact spa_backspace [at] hotmail.com, or complete an online survey. 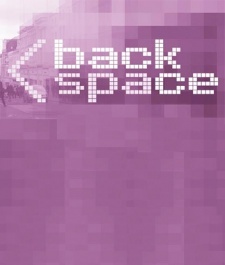 More details on the Backspace programme will be announced on the Leamington Looks Back website, as well as Backspace's own Twitter and Facebook accounts.